This is our specialty, a true 5 Star Experience! You reserve the boat and we do all the work. 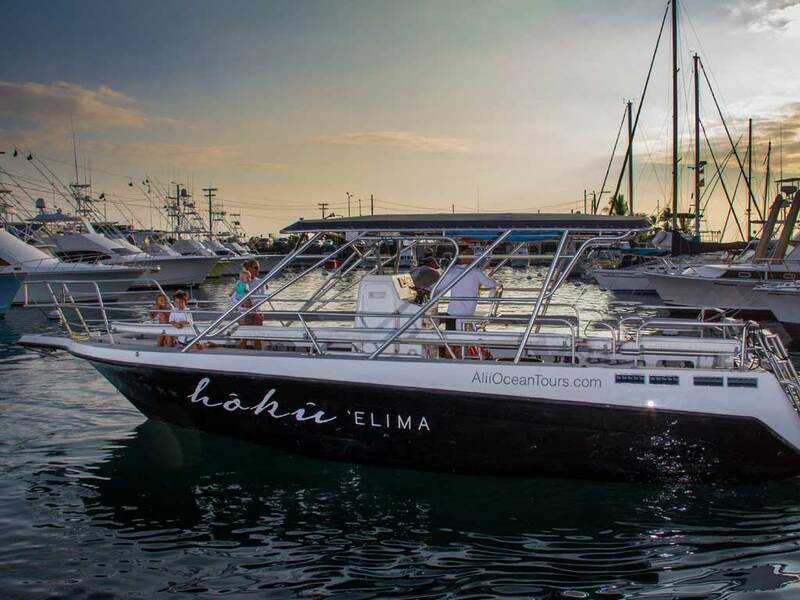 Your group can enjoy a day all to yourselves aboard our 38 foot cruiser the “Hoku Elima” Let us design your day and find the wildlife or you tell us where you want to go. Whether you’d like to encounter dolphins, snorkel with the colorful fish or picnic at a secluded beach we have you covered. Why not do all three! Just want to sight see? Stay on the boat and enjoy the sunshine and diverse sights our island has to offer. Our Captains and Crew are the best in the business when it comes to safety, service and satisfaction. We can customize all aspects of your trip to give you the ultimate 5 star experience! Book one of our private tour packages and let us exceed your expectations!! 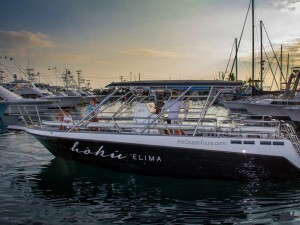 Reserve the Hoku ‘Elima for a 4 hour excursion of your choosing. You can either enjoy one of our standard trips with a cruise all to yourselves or customize a tour with a multitude of options of where to go and what to see. Our staff has over 30 years of collective experience on Kona waters. 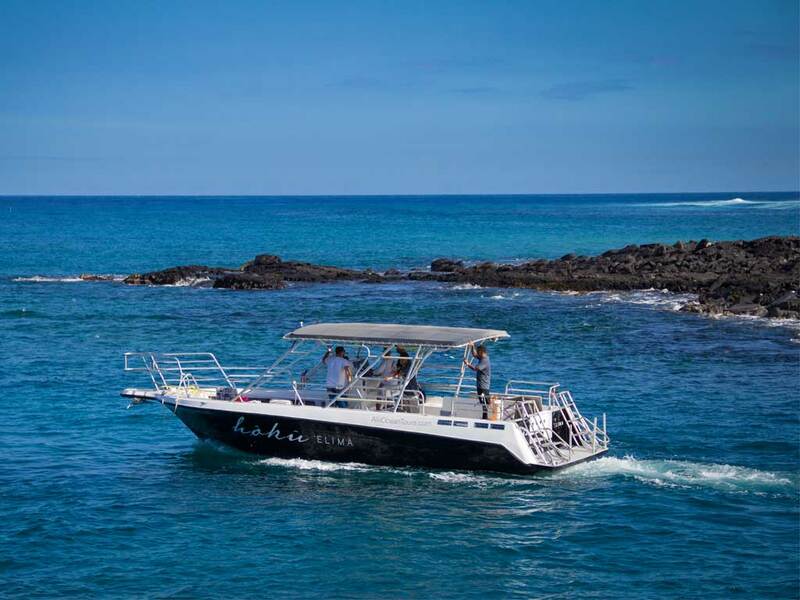 We’ll suggest the best options for you based on wildlife viewing, ocean conditions and most importantly your interests! The Ali’i package is designed to give you the true Royal Hawaiian experience! 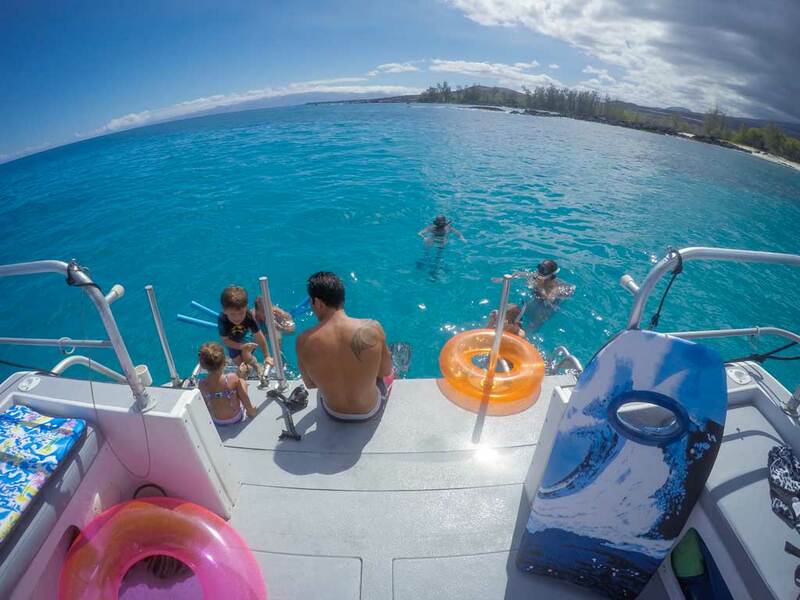 Fully customize your 5 hour tour to maximize your day on the water. We’ll take you to see some of the most breathtaking spots on the island. 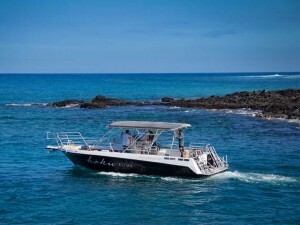 Encounter dolphins, snorkel with tropical fish, explore the coastline, the options go on and on. Your private charter consultant is standing by to help you design the perfect ocean experience!